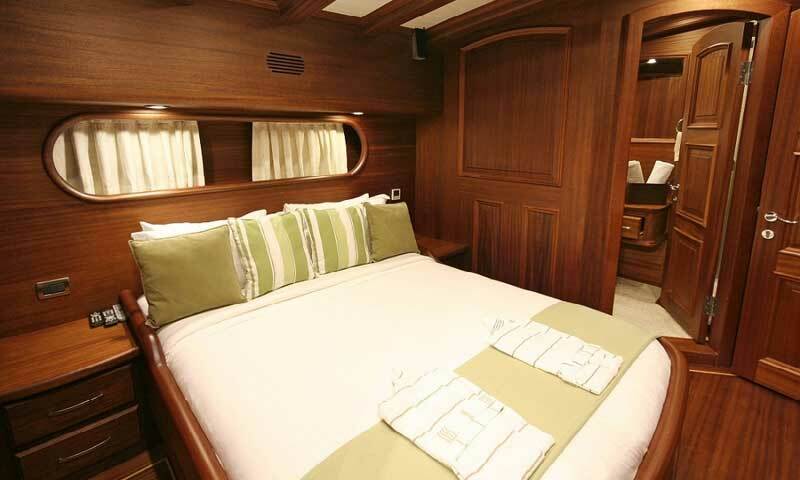 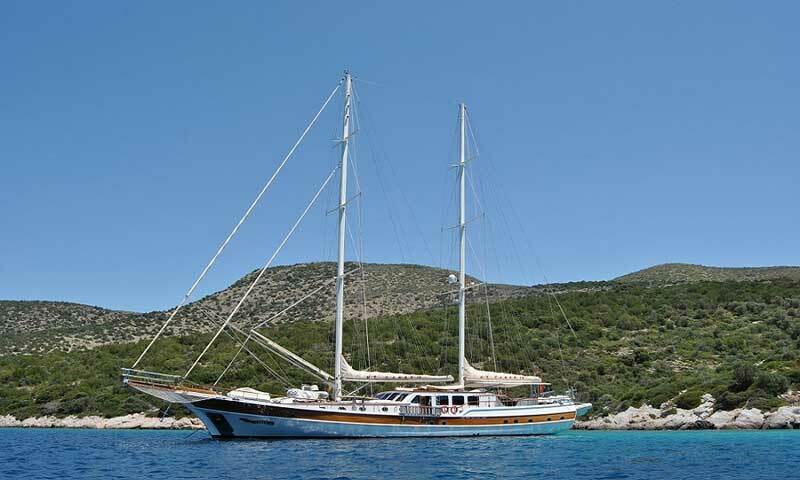 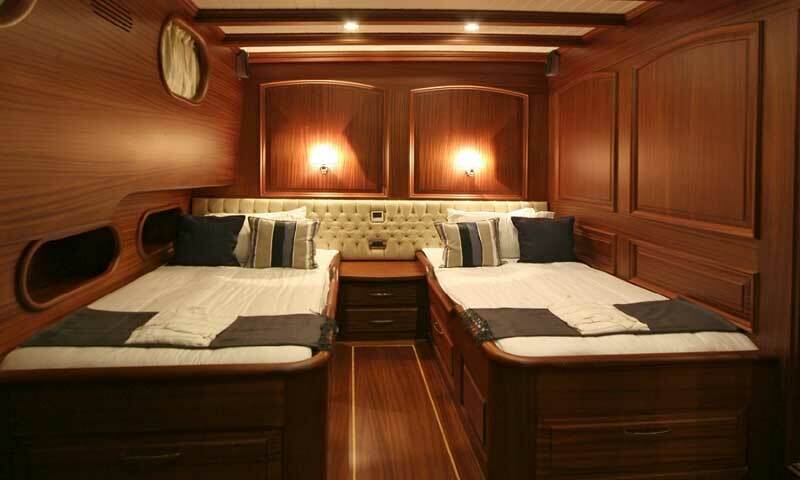 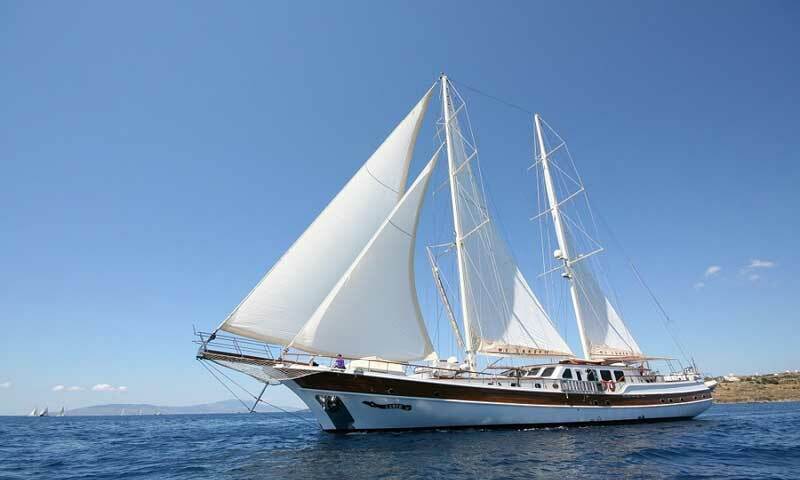 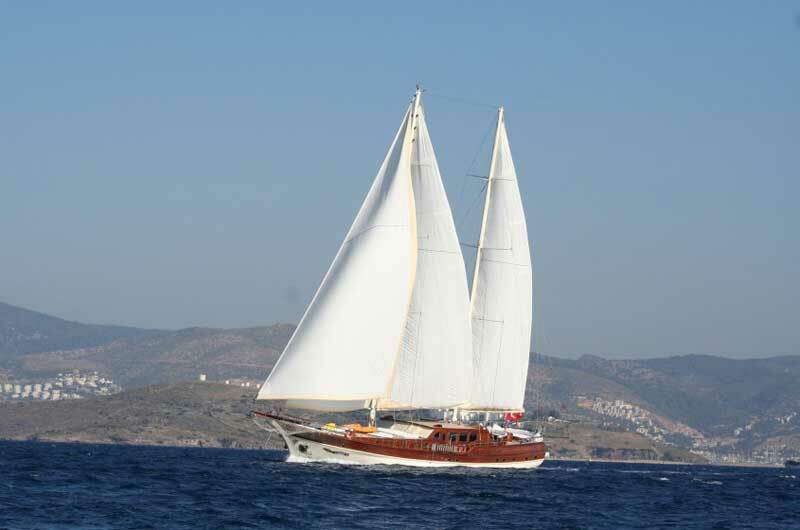 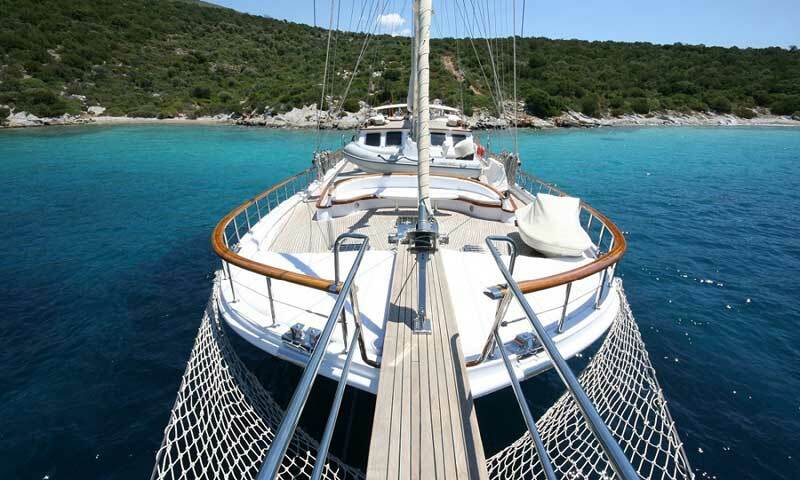 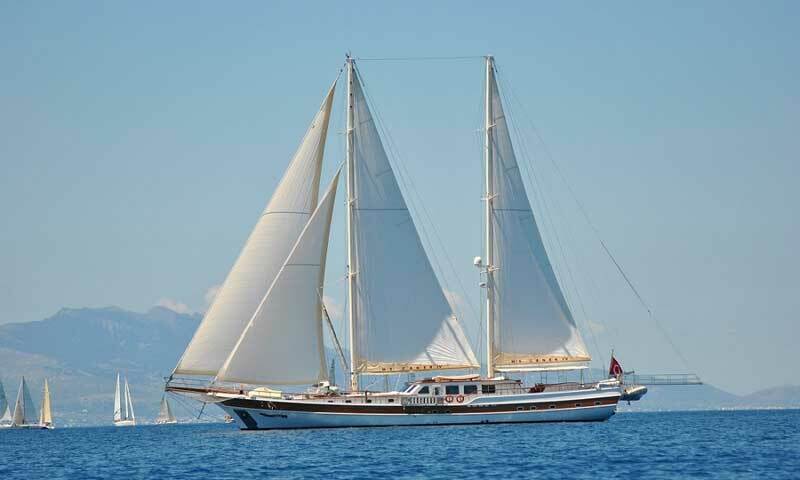 2 cabins with twin beds (bed size : 90cm x 2,10m), satellite TV, music system, minibar, air-condition, massage-shower. 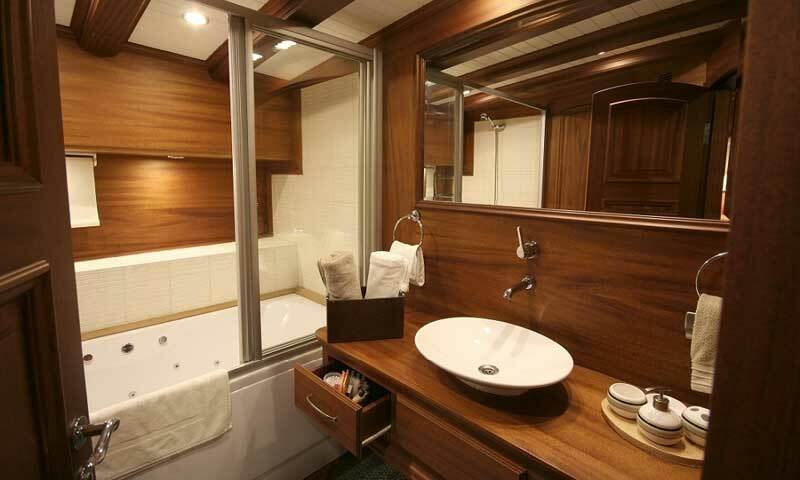 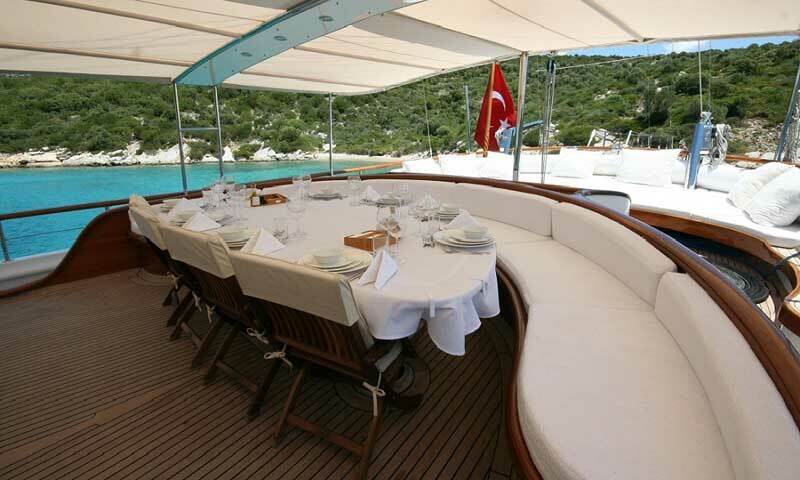 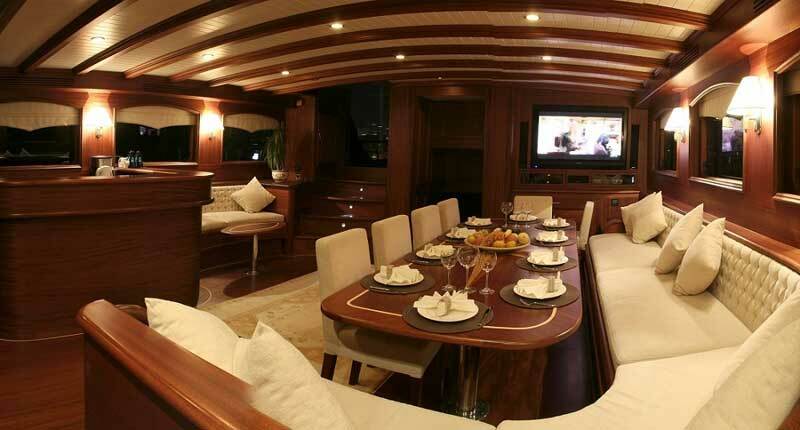 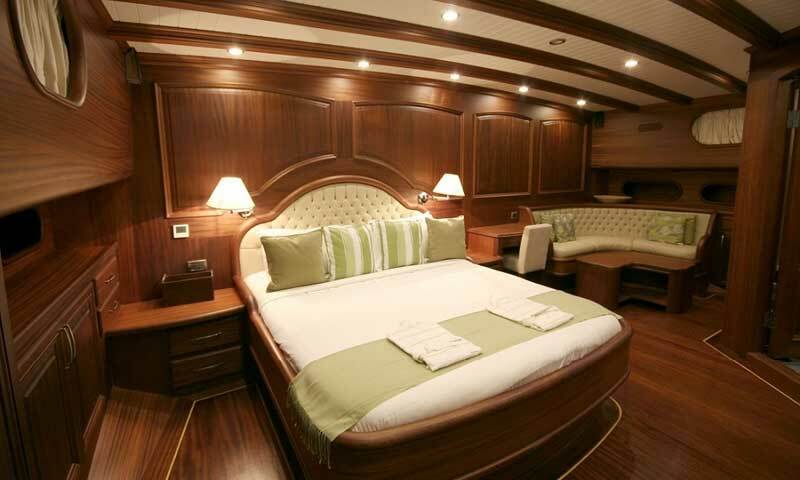 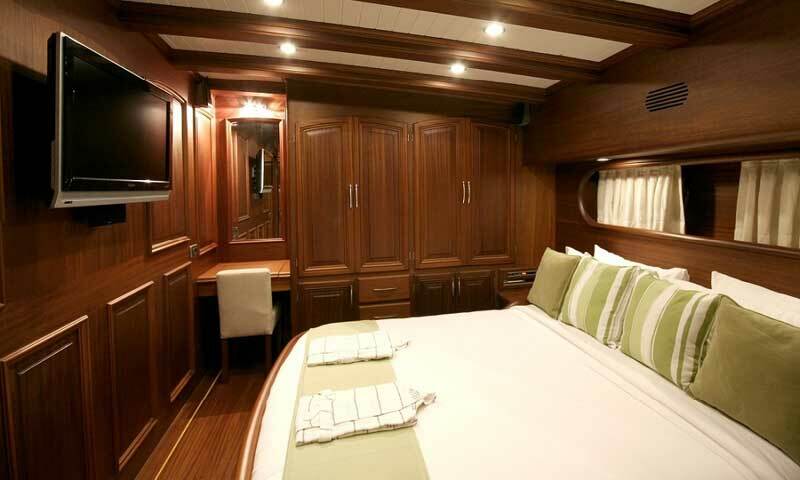 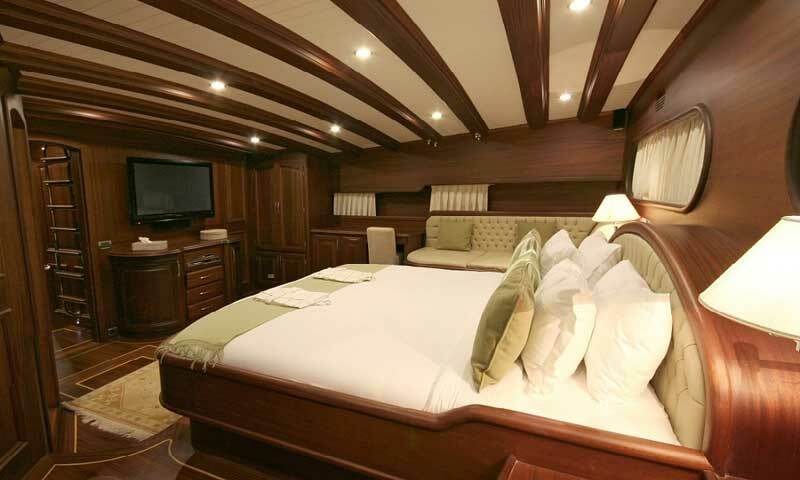 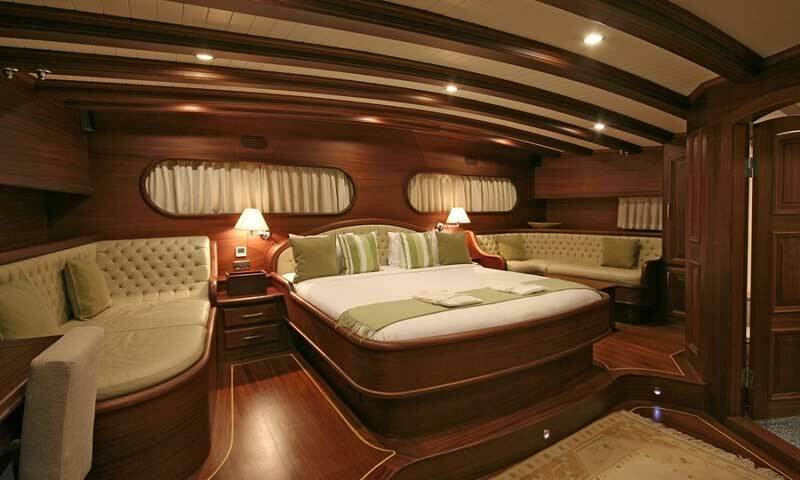 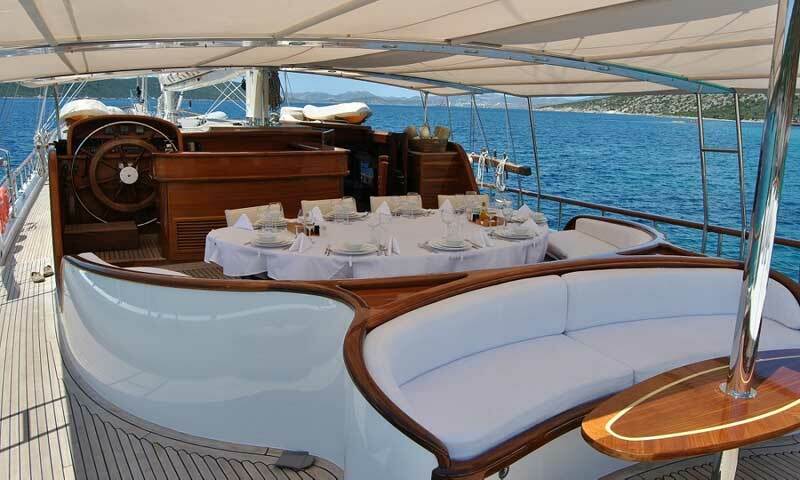 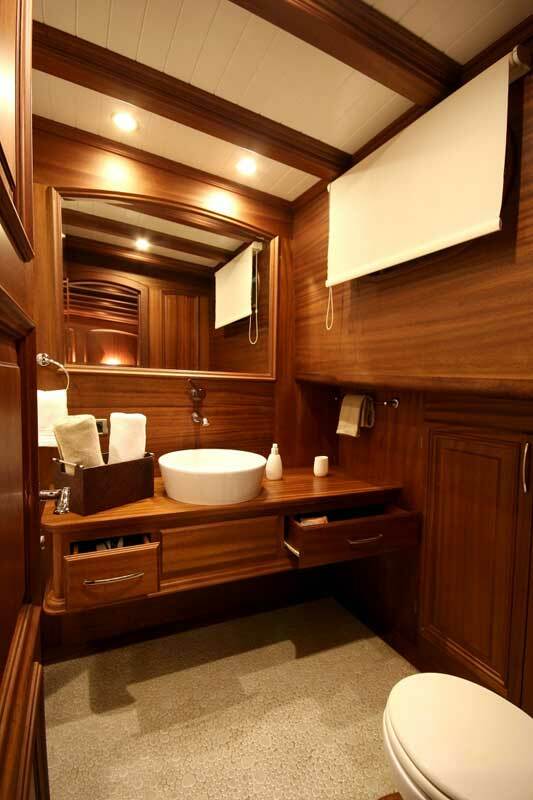 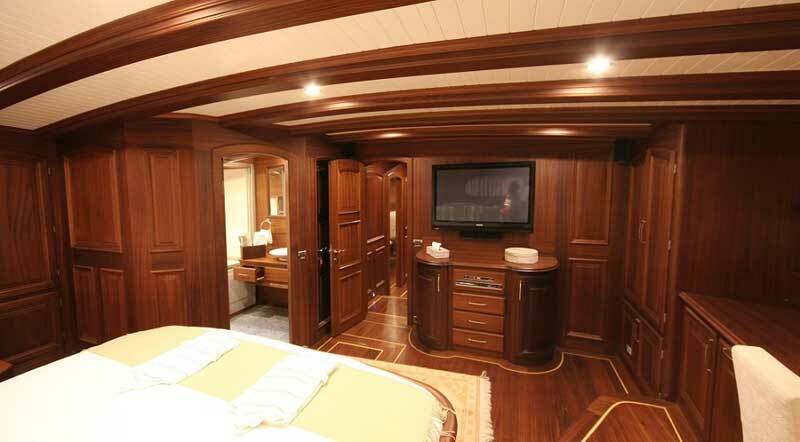 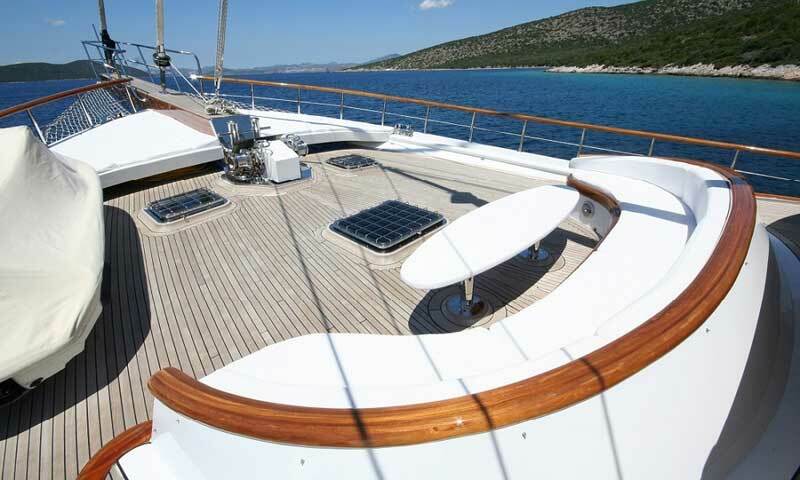 2 cabins with double beds (bed size : 1,60m x 2,10m), satellite TV, music system, minibar, air-condition, massage-shower. 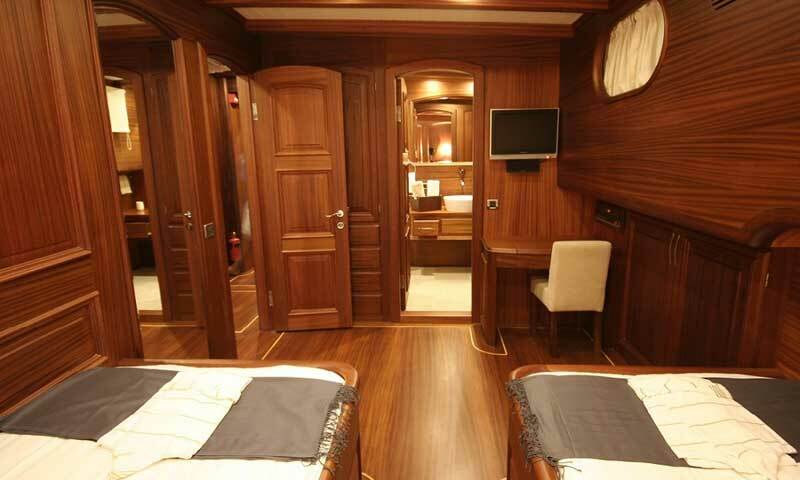 Water-ski (optional-extra), jet-ski (optional-extra), 2 canoes, masks, flippers, satellite TV, DVD, music system, internet connection, dinghy with 9hp outboard, zodiac boat with 90 hp outboard, ice maker, refrigerator, deepfreeze, washing machine, dishing machine, navigation & security equipment.